Run 2 WhatsApp accounts on your android phone easily with and without rooting your android phone in 2016 by 2 new and best methods of 2016. Friends, previously we have published much articles on WhatsApp. You can also find all the WhatsApp tricks & tips from here. But today the method we are going to use is excellent and neat tricks to use two WhatsApp accounts on your Android phone. 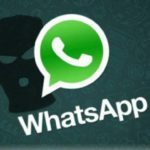 WhatsApp is a very common and popular messaging app it has many new and best features for its users; Users can send messages as well as media (Images & Videos) to your friends. Why one wants to use 2 WhatsApps Accounts? As you know that WhatsApp has become one of the most popular messaging app for Android users, since WhatsApp is totally free so the number of users of WhatsApp are increasing rapidally. If you are using a single WhatsApp account for both your business and personal use then it can create many problems for you, because mostly friends keep on messaging and you can turn off the internet connection or can take any other action so your friends cannot send you more messages in the mean time you can also miss some important messages realted to your business, so the simple and best solution is to run two WhatsApp accounts on your Android phone, so that if you want to restrict one app then you can use other. 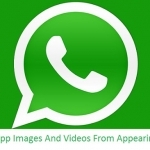 GB WhatsApp is a good app for using 2 WhatsApp accounts on your Android phone. It is somehow similar to the OG WhatsApp, but there is a little difference in these two apps. 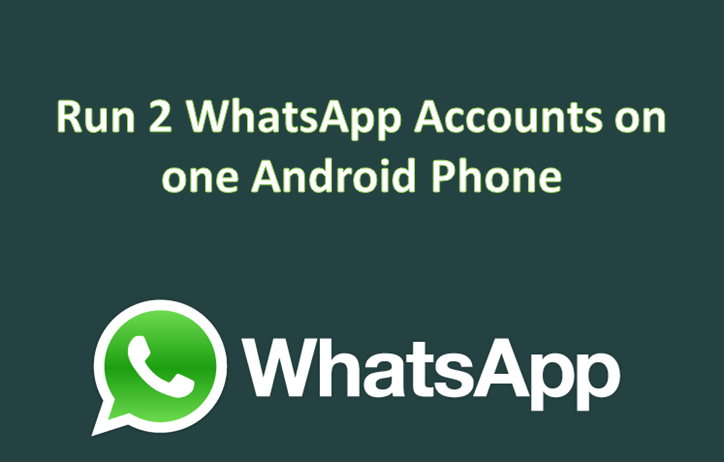 Here I will discuss a good method to use 2 WhatsApp accounts on your smartphone easily. You do not have need to root your Android device. GB WhatsApp is free to use. Latest updated version with all updated features of original WhatsApp. You don’t need to even pay for buying the app it is totally free. Every thing which original WhatsApp allows GB WhatsApp also do. Requirements for Running Two WhatsApp Accounts on Single Android Device. Below are some requirements which you should full fill before you proceed the method to use two WhatsApp accounts on your Android phone. Whatsmapp app on your device don’t worry I have provided download link below. If you have a rooted phone then very good otherwise it can be runned on both rooted and non rooted phones. An internet connection may be Wi-Fi or cellular data. First of all, you have to download GB WhatsApp app on your Android phone you can use download link to download GB WhatsApp on your device. (Download), if link is not working them you can use this link. Open you download folder on your device click on the app and install it as other apps are installed, if it shows security error then open the settings security and turn on the Unknown sources. 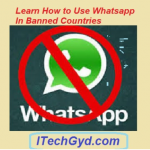 Launch the installed GB WhatsApp app on your Android device. Sign up for the WhatsApp on the GB WhatsApp application using your second number. Receive the verification code via message and verify your second number and start using two different WhatsApp accounts on your single Android phone. 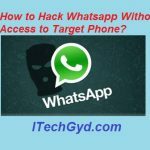 This was a very straightforward and easy method to use 2 WhatsApp accounts on your Android phone without giving the root access or by rooting your android phone. I hope you have enjoyed the method to use 2 WhatsApp accounts on your Android device. 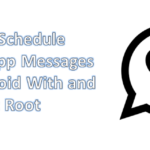 2 Line WhatsApp is an amazing app for using two different WhatsApp accounts on your same Android device, but unfortunately this app is not currently supporting non rooted phones so if you want to use this app (2 Lines for WhatsApp) then you need a rooted Android device. Some physical storage on your Android phone. First of all, there will be two lines app installed on your Android device as it is also described in the requirements. After installing this app open it and it will ask for the super users permission just grant it super users permission. There will be a button “Add New Line For WhatsApp” just click there. It will ask you for your number just add your phone number, and you can use the WhatsApp on your dual SIM phone for free. This was a very straightforward and easy method to use 2 WhatsApp accounts on your dual SIM phone quickly. So, Friends, these were two straightforward and easy ways to use (RUN) 2 WhatsApp accounts on your Android phone with and without rooting your devices. By following the methods you can easily use 2 WhatsApp on your Android phone, but if you have any problem then fell free to ask me.